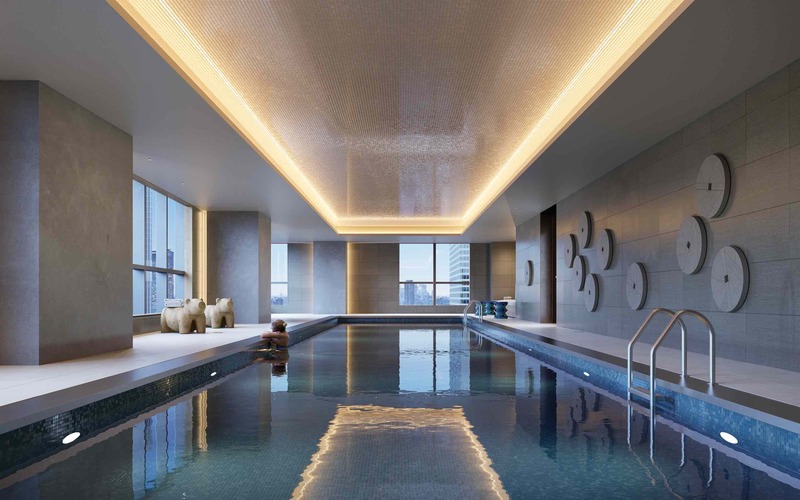 Excellence at The Avery extends beyond your residence. A precision-trained staff is available 24 hours a day to cater to every whim or need. 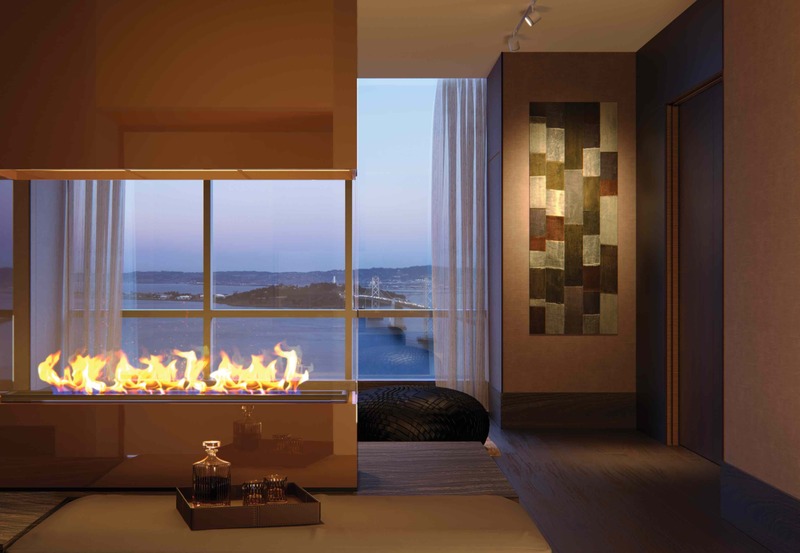 Residents arrive through a bronze-accented limestone portal into an intimate lobby, anchored by a glowing fireplace. Poised behind an impressive desk of beautiful, live-edge walnut, the concierge is available around-the-clock. 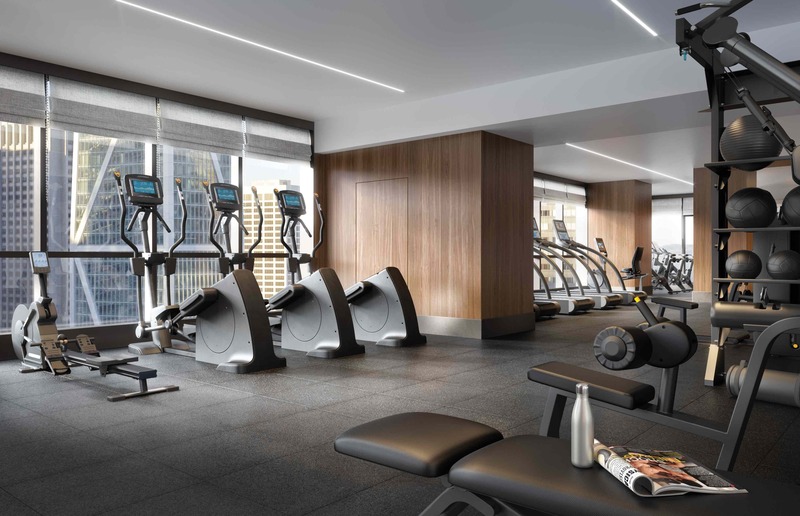 Foster a lifestyle of balance and wellness at the indoor lap pool or the Equinox®-curated fitness center, equipped with state-of-the-art cardiovascular and weightlifting machines. Round out a busy day by meditating in the quiet room or practicing yoga. 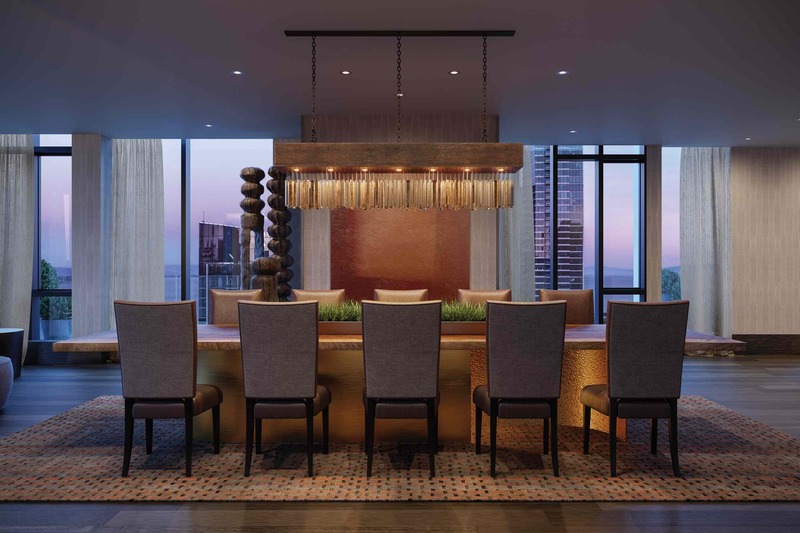 An intimate fireplace lounge, stunning sky terrace, and private dining room with a catering kitchen create opportunities for elegant gatherings and intimate celebrations. The media and game room is appointed with a custom billiards table and bar, and the business lounge features all the technology essentials. Explore culinary passions in the state-of-the-art demonstration kitchen, complete with a chef’s table and entertainment space. Cook with friends or invite a professional chef for an unforgettable dining experience. 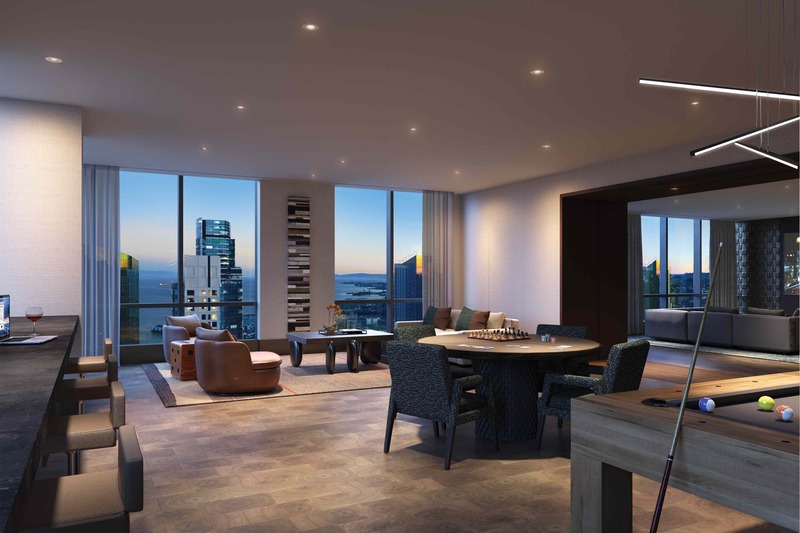 Designed to take advantage of the latest technology, The Avery innovates with a focus on sustainability and wellness.